Home • Pet Blog • What should I expect at my first veterinary oncology visit? Learning that your pet has cancer can be very frightening. 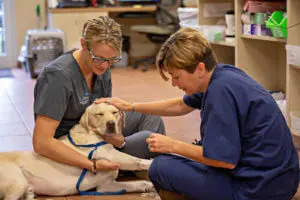 It is normal to feel nervous and overwhelmed before your first visit with a veterinary oncologist, but learning how to properly prepare and what to expect may help ease your mind. 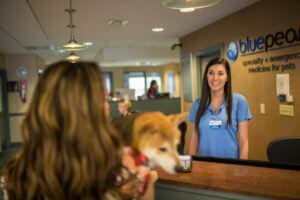 Dr. Brooke Britton, a board-certified veterinary oncologist in our BluePearl New York hospitals, answers some frequently asked questions about your first visit with a BluePearl oncologist. In general – what happens at my first veterinary oncology appointment? Your meeting will likely last about one hour. It is best to block off at least 90 minutes of time for your appointment. It is most important that you bring your pet! Your pet’s comfort and quality of life is the top priority of a veterinary oncologist. By meeting face-to-face, your oncologist can build a relationship with your pet and personally assess his or her physical condition. The physical examination performed at an initial visit provides invaluable information to your oncologist which may factor into treatment recommendations or clinical decision-making going forward. Aside from your pet, it is a good idea when possible to bring detailed notes summarizing any behavioral or physical changes you may notice at home, as well as specific questions that you may have for your oncologist. Even subtle changes in routine or behavior can provide very important information. Nobody knows your pet better than you, so it is important to help provide insight to your veterinary oncologist. You may be asked to bring a copy of your pet’s medical records, particularly if further testing has been done or new test results are available since your last visit with your primary veterinarian, however this information is usually provided by the family veterinarian beforehand. Will my family veterinarian be involved? Absolutely! The most effective cancer treatment involves collaboration from your pet’s entire medical team, especially the primary veterinarian. After your appointment, your oncologist will send your primary veterinarian a detailed report and begin establishing a partnership and plan for treating your pet. Will other veterinary specialists be involved? Because all cancer cases are unique, sometimes other veterinary specialists (such as surgeons, dermatologists and internists) may be involved in oncological treatment. If your pet’s oncologist believes your pet could benefit from the help of another specialist, he or she may discuss this with you during your first appointment. 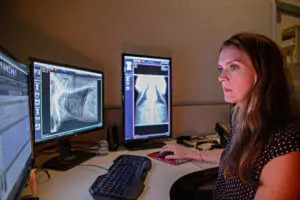 In some cases, a veterinary radiologist may be called upon to help pinpoint more information about your pet’s specific cancer (e.g., staging the extent of disease within your pet’s body with various imaging tests). Will I learn pricing information? Yes. Veterinary oncologists understand that finances are an important part of decision-making and choosing amongst various treatment options. You will be provided with an itemized list of price estimates for all possible treatment options. It’s up to you! After your appointment, you will receive a written summary of your discussion from your veterinary oncologist. If you would like to take additional notes, you are more than welcome to. Will they perform any diagnostics during this appointment? 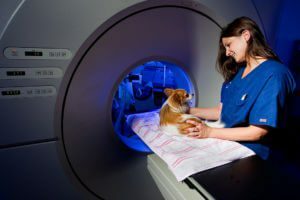 Depending on the diagnostic tests already performed, additional diagnostics may be discussed to help make the best assessment and treatment plan for your pet. Will they perform any treatments during this appointment? Possibly. While there is no imperative to perform any treatments at the first visit, if your oncologist deems it appropriate and you would like to begin treatment as soon as possible, in most cases your oncologist will be able to get started right away. What is the most important thing to know about my first appointment?